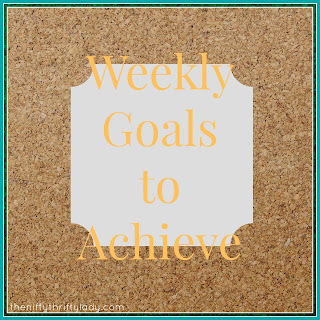 The Nifty Thrifty Lady: Weekly Goals to Achieve PLUS Meal Plans! 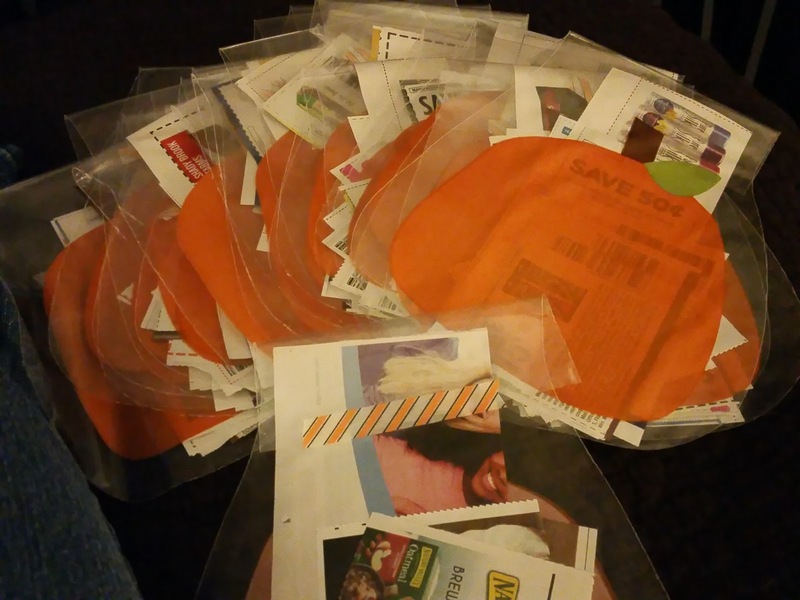 Last week I welcomed coupons back into my life! If you caught my periscopes lately you know that couponing has not been a big priority because I have been so busy. Since I have a nice family stockpile it has not been a huge deal to miss the sales and deals. Until, I went to my donation pile in the basement and it was practically empty. I had to remedy this because I always donate to local organizations in the winter and Christmas time. Martin's had a great deal on body wash and toilet paper so I got out my binder, clipped my coupons, and got all of this for under $5.00! 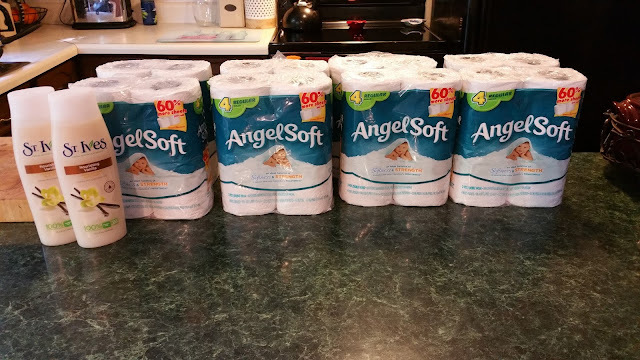 Now that I felt that rush...I am ready to get back to couponing. We can now go to the movies as family of 4! Colton will be 3 this week (lots of birthdays) and we normally celebrate 3 with the first trip to the movies! 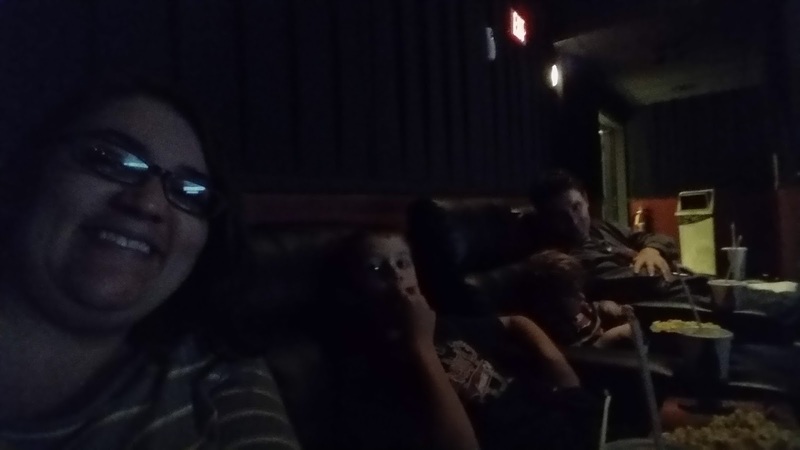 We saw Hotel Transylvania 2 at our local Theater with recliners! So much fun and he was so good! Finally, I had the privilege to teach a great coupon class to a Group of Mom's of Multiples! This class was outside of my home town so I did some fun research on other stores coupon policies and made an awesome coupon policy guide....COMING SOON! I can say this week I accomplished all 3 these goals! I am still concentrating heavily on my spiritual goals, if that were not obvious. I am adding back in things that I want to make a habit like waking up and reading scriptures before I do anything else. I also need to focus a little more time this month on studies so in December I can pull back a little bit. Finally, I am fall cleaning my house which is normally takes the whole month of October because I can't spend whole days on the process. 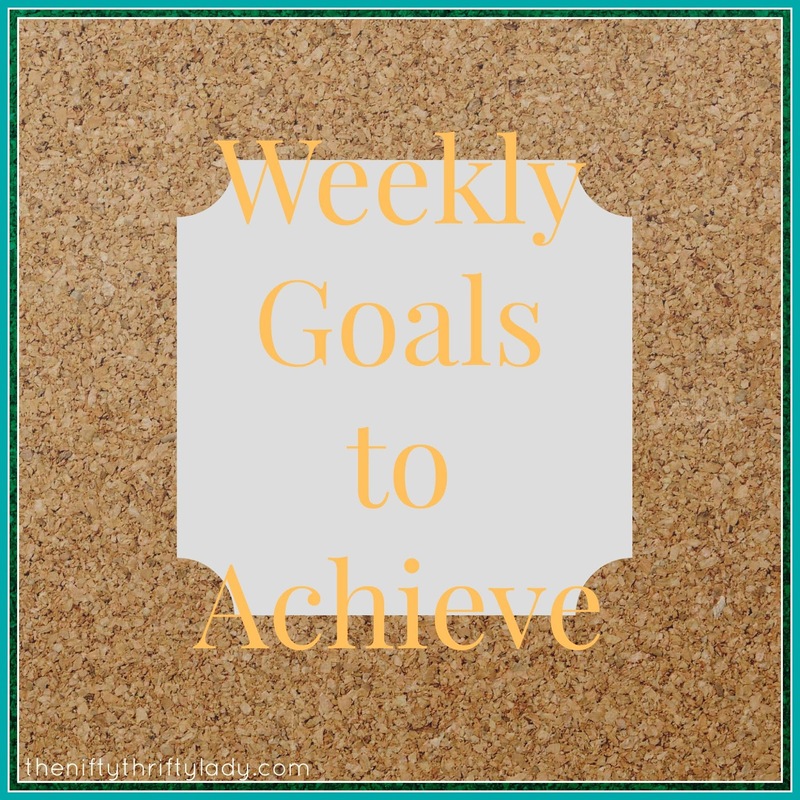 What are your goals for this week? Share them below so we can help keep each other accountable. Head over to facebook and share your dinner menu too! Let's make this week great and thrifty!